Leveling up your Word of Warcraft character gets so tricky at some point that you’ll probably be able to put it on your next job application in the “Problem solving skills” section. To make your life a bit easier, we decided to write this Dugi Guides review, so you don’t have to guess if this life hack is really as helpful as advertised. So, what are those Dugi guides, you may be asking? Basically, it’s an epic online project dedicated to fast WoW leveling, as well as some other aspects of the famous online game. Founded and created in New Zealand twelve years ago by Dave Farrell (Dugi), Dugi Guides is a privately owned company with a huge supportive community behind it. What started as a solo project, has now grown into something bigger and better, with a big team of staff and members taking care of website development, customer support, gameplay, Dugi guide creation, marketing and so on. An avid gamer since early childhood, Dugi was always a big fan of Blizzard games (although he does not neglect his offline commitments, as Dugi is also happily married and is raising three charming young boys). WoW power leveling is no easy business, but since the original 2005 release, Dugi quickly became one of the world experts in leveling and gold making in within the game. The first ever WoW Dugi guide, which was released for free on a number on official World of Warcraft forums, was a huge success, putting the talented creator under the spotlight and generating a huge following. 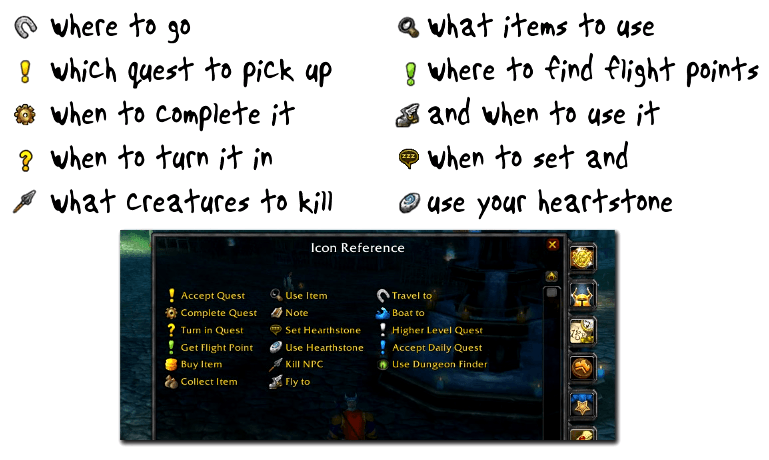 Today, there are many more original Dugi guides available on the official website, all insanely popular among gamers looking for optimal WoW power leveling tips and strategies. Before trying out the Dugi guides, we, like many other gamers, had a perfectly reasonable question in mind: why pay for a guide, if there are so many free ones available? However, after trying these ourselves, we’d like to point out in our Dugi Guides review that not all guides are created equal. As all guides are manually created by Dugi and the team, they only contain correct and accurate paths that can be replicated quickly. Unlike many automatically generated resources, these guarantee results! In addition, with Dugi guides, you get constant technical support which is already included in the product price. The creators have played extensively and experienced all issues themselves, so you won’t get stuck forever looking for answers. We found Dugi guides extremely easy to follow, and we honestly feel like they’re worth every penny and more. Due to large amount of content included, we are still exploring the guides and what they have to offer. The results are amazing, and we have been constantly leveling up our characters at unbelievable rates! If you’re still on a fence about this product, there is also a free trial option – download it and see for yourself. Hope you enjoyed our Dugi Guides review, and happy gaming!